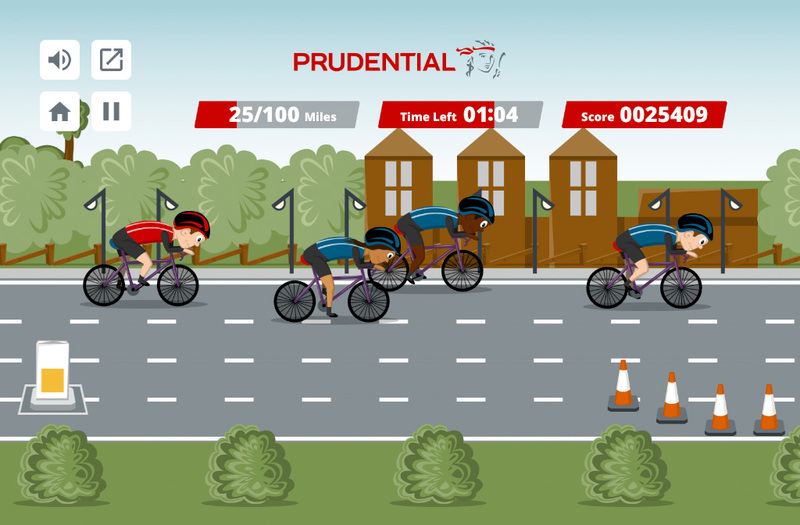 Prudential asked us to create a cycling game to coincide with the RideLondon 2018 event, which they sponsor. We produced this against the clock cycling themed distance game. Control your cyclist to try to complete the ride before time runs out. Collect water bottles and snacks to increase your energy (and speed) and avoid the obstacles and other cyclists.